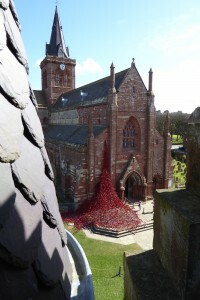 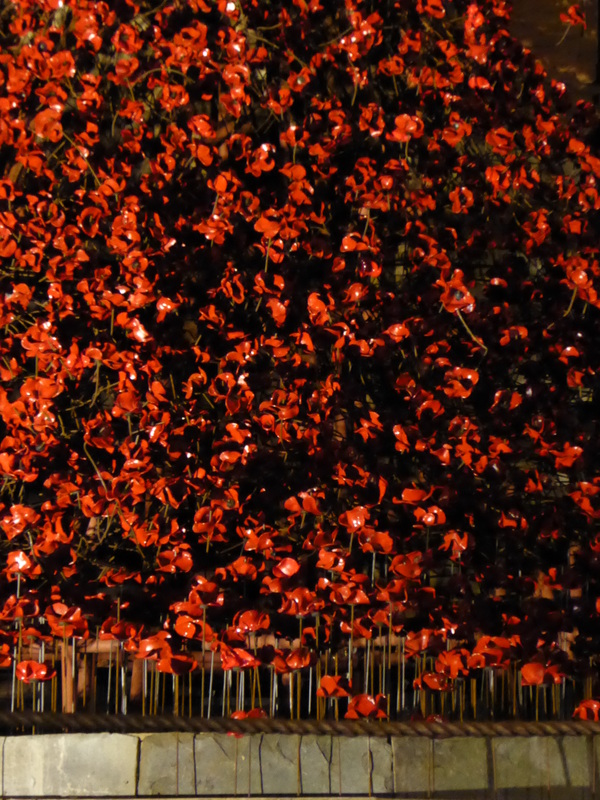 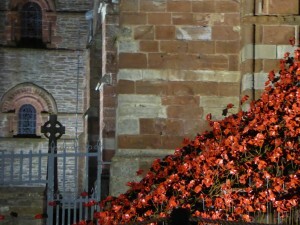 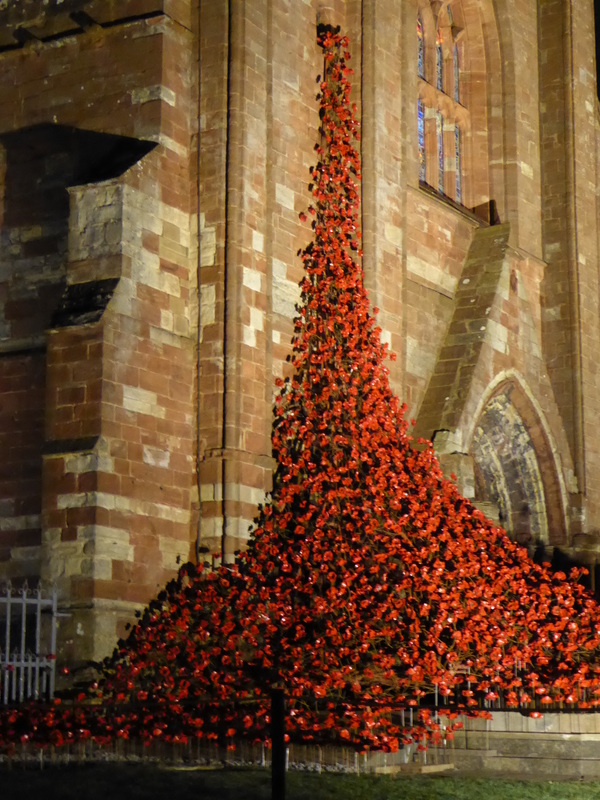 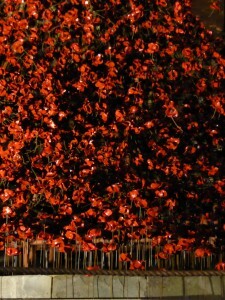 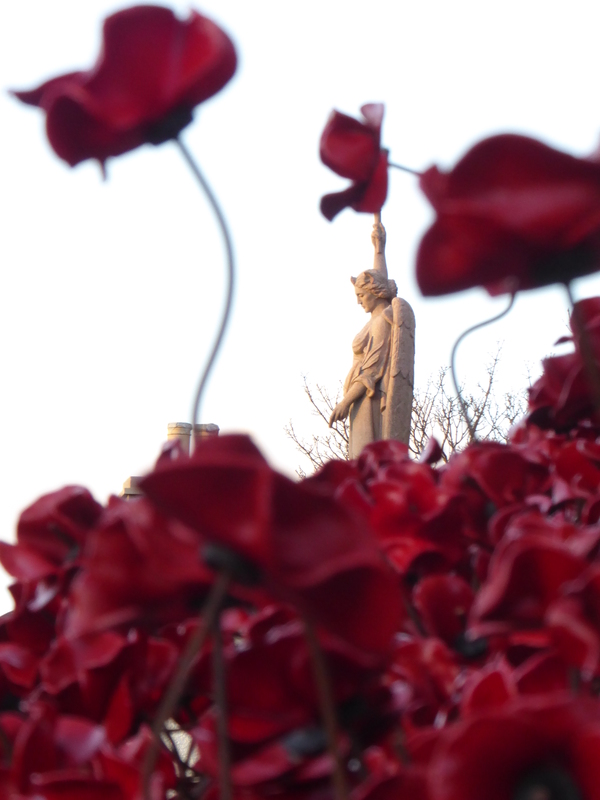 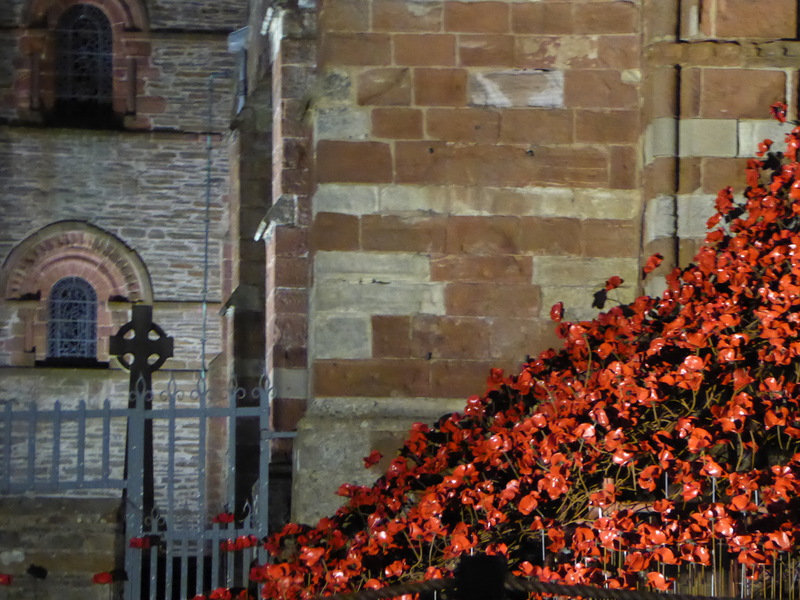 The first of this year’s Poppy installations has opened at St Magnus Cathedral, a beautiful 12th century red stone building slowly being eroded by the winds.It is the the most northerly Cathedral in the country, owned by the people of Orkney. 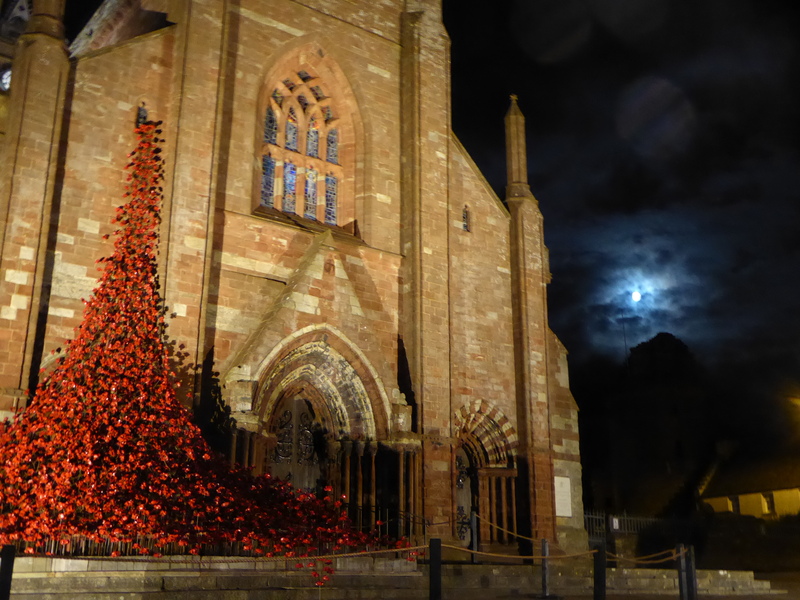 The sculpture will form part of the commemorative events around the hundred year anniversary of the battle of Jutland, where between the two sides nearly 10,000 men died and 25 ships were lost . 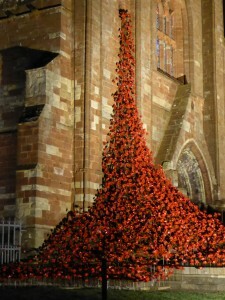 It is fascinating how the sculpture relates to each new building we work with, here pouring from a tiny window and framing the entrance way, and cascading down the steps.